While serving as a pharmacist in regional areas, Alex was inspired to study dentistry. He noticed that there was a lack of education about oral health education in the community where he worked. As a result, Alex became keenly aware of the importance of preventative dentistry. He then enrolled at the University of Western Australia, graduating with a Doctor of Dental Medicine. To stay abreast of the latest in dentistry and increase his knowledge, Alex regularly takes professional development courses on a national and international level. Additionally, he has completed a Graduate Diploma of Clinical Pharmacy, giving him the option to provide holistic medical treatment. Alex also earned a Certificate IV in Training and Assessment which enables him to mentor dental students and dental assistant students. Alex enjoys all facets of dentistry but has a particular interest in special needs dentistry, paediatric dentistry and dental public health. He finds it especially fulfilling to improve the oral health of his patients, which in turn, enhances their quality of life. 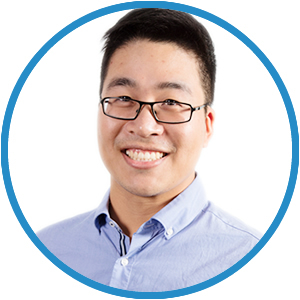 Outside of Ranford Road Dental Centre, Alex loves watching movies and volunteering. He also serves as a Graduate Dental Officer at the Oral Health Centre of WA (OHCWA) where he appreciates the clinical and research aspects.